We have recently taken delivery of the latest batch of milestone t-shirts, which means Tribe Sports has now fulfilled its commitment to deliver 100,000 free t-shirts since the beginning of our partnership in 2015. We would like to take this opportunity to pay tribute to Tribe Sports for the enormous contribution it has made to parkrun globally, through both the supply of the milestone t-shirts and the development and production of the parkrun Apricot range. In late 2014 we found ourselves in a position where the demand for milestone shirts was outstripping our capability to supply them. There were 35,000 people globally who were eligible to claim a t-shirt, and around 2,000 parkrunners reaching a milestone every month. We were on the brink of writing to every parkrunner with the disappointing news that these coveted t-shirts would be coming to an end. So when Tribe Sports approached us offering to help, and took on the commitment to honour the backlog of t-shirts, it ensured the future of one of most meaningful forms of participation recognition in the world of running. Not only did this partnership enable us to offer free milestone t-shirts to every parkrun territory in the world for the first time, but Tribe Sports also offered to go the extra mile by introducing the Volunteer Club t-shirt for everyone who volunteers 25 times. More than 20,000 parkrunners are now members of the Volunteer Club. As a community we should be incredibly grateful for the contribution that Tribe Sports has made to parkrun globally. As well as producing over 100,000 milestone shirts, the parkrun Apricot range has been an outstanding success, with 30,000 units sold in less than 18 months. The profit from the Apricot range goes directly into helping us to continue to do what we do - supporting local communities to deliver free, timed events in 17 countries around the world. We recently reached the point in our contract where both parties needed to review the partnership and decide if we should continue to collaborate. When taking into account the rapid and unprecedented growth of parkrun, with 6,000 people now achieving milestones globally every month, both parties agreed that it would be increasingly difficult for Tribe Sports to meet this phenomenal demand. We have jointly agreed that Tribe Sports will continue to supply the Apricot range in the short term but will not be providing any more milestone t-shirts. 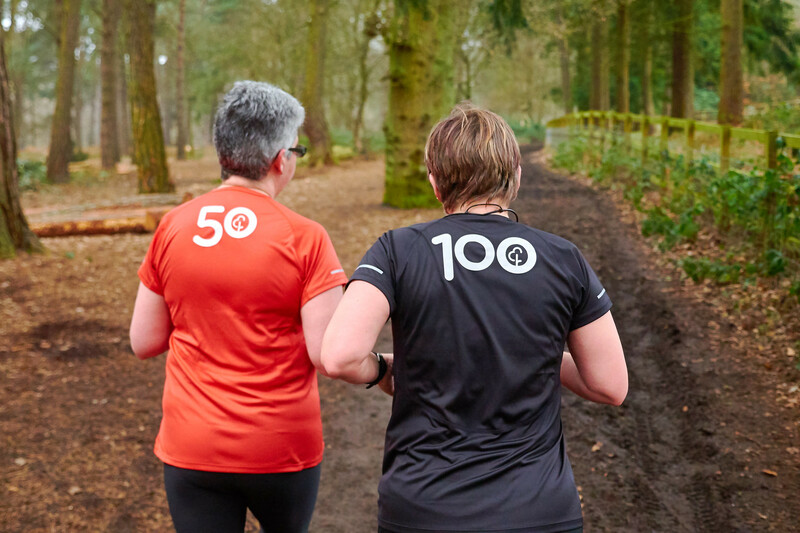 We are aware that parkrun has created an environment where people are completely invested in their pursuit of joining the various milestone clubs, and we see it as our responsibility to ensure that everyone who reaches a milestone receives a t-shirt to mark this significant achievement. It is clear that fulfilling the demand for thousands of free milestone t-shirts is too much for any commercial partner to take on: the rapid growth in popularity and participation has consistently left an ever-growing number of parkrunners waiting for their shirts. We believe that as we have set the expectation amongst parkrunners (that these achievements in participation will be celebrated with a free t-shirt) then parkrunners shouldn't have to just wait patiently for months (or even years) to receive theirs, even if it is free of charge. We created the expectation and it is our responsibility to ensure we fulfil our obligation to the community. We have therefore taken the decision that we will now be taking full control of milestone t-shirts directly in-house. We are pleased to let you know that we are currently in the final stages of discussions around appointing a manufacturer, and we are in the process of signing off on a new order. We anticipate that we will be able to make a more detailed announcement over the next month or so about the specifics of the next delivery. The decision to bring the milestone fulfillment in-house, rather than seek a new commercial partner has been made possible by the tremendous success of Apricot sales. The financial burden of supplying these free t-shirts will now sit directly with parkrun. The community’s continued support of Apricot is directly linked to our continued supply of milestone t-shirts: every purchase contributes directly to the future of free milestones. Milestone t-shirts represent so much of what parkrun stands for and we want to assure the parkrun community that we are committed to continuing to supply them. These t-shirts reflect our emphasis on celebrating participation over performance, they can be achieved by everyone, nobody is excluded from receiving one because they can’t afford it, and they promote inclusivity. Taken together, these go a long way to supporting our bigger ambition of making the world a healthier and happier place. We appreciate that many of you have been waiting some time for your t-shirt, and some of you may not receive yours despite the recent delivery of 23,000 units, and for this we can only apologise. Nevertheless, we want to assure all parkrunners around the globe that we are working as hard as we can to commit to a solution that resolves any outstanding orders and ensures the future of the milestone t-shirts for the foreseeable future. Milestone t-shirts were introduced as a universal incentive to parkrunners that celebrate reaching participation milestones. They are available free of charge as this reflects the totally inclusive nature of parkrun, and it was never the intention of parkrun to create rewards that were only available to those who could afford to buy them. We are aware that with current delays to availability, there are some people who would rather pay than wait, but we feel that this would undermine the equality of parkrun. We understand the disappointment of parkrunners who have had to wait for their milestone shirts, and we have plans to resolve the ongoing delays, but this does not include changing the current 'free to everyone' model.